FLY will celebrate their 20th anniversary with a new concert and fundraiser. 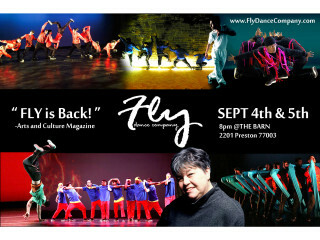 A leader in dance, FLY’s style is original, elegant, high energy, comedic and appropriate for all ages. In typical FLY fashion, the music selection will range from the likes of Stravinsky to Earth, Wind & Fire. Guests can participate in a silent auction and bid on shows, classes, original art work and much more. $15 presale; $20 at the door.